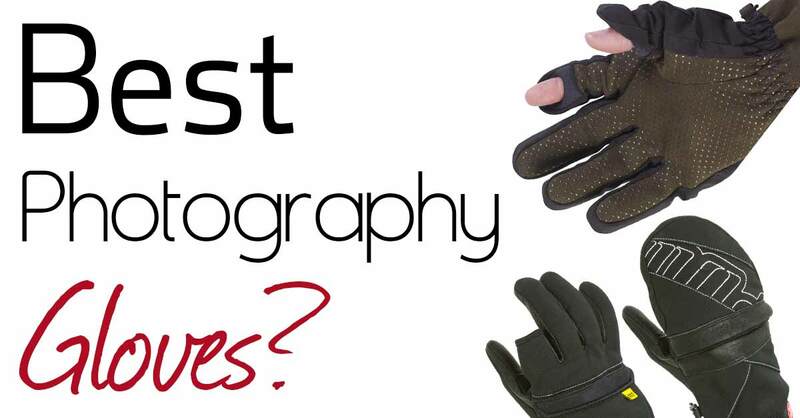 Since I’m always posting winter photos from my home in Canada, I often get the question; what are the best photography gloves? Many cameras these days have some sort of touchscreen functionality. For some cameras it’s somewhat optional to use it. In other words, you can also use physical buttons to operate the controls offered by the touchscreen as well. For other cameras, typically smaller point-and-shoots, the touchscreen is a necessary controller. Of course that means that you’ll have to limit your glove choice to ones that offer touchscreen compatibility if your camera falls into this category. Personally, I do not like touchscreen controls on cameras at all and I do not use them even when present. 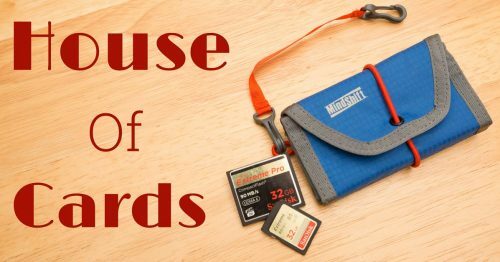 You want a glove that offers enough dexterity to easily operate the main wheels and dials on the camera, as well as depressing the lens release button if you’re using a DSLR. 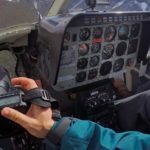 Gloves that fit a little tighter will help you out here, or gloves that offer some way to reveal one or more fingers from the glove in the short-term, to operate the controls. 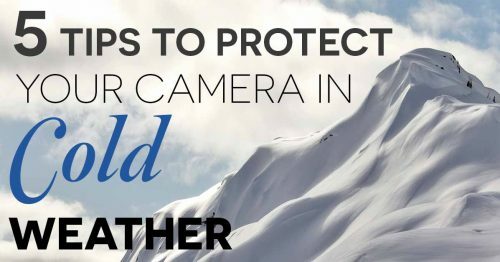 Since it is so much easier to operate a camera without gloves on, we’re going to assume that it’s gotten pretty cold for you to consider wearing gloves while shooting in the first place. 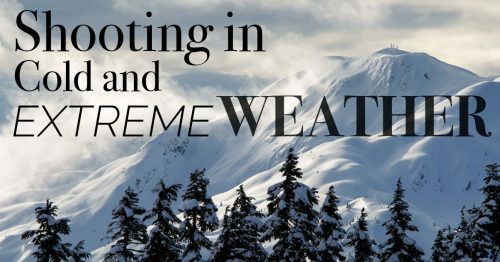 If you are looking at shooting in extremely cold temperatures where thick gloves are obviously a necessity, then the best option is to buy an excellent standard winter glove and pair it with a glove liner that offers enough warmth and protection for a few minutes while you get the shot. In this situation, one that I’m quite familiar with, I like merino wool liners because they offer excellent warmth, whilst remaining thin enough to easily fit inside regular gloves. A number of manufacturers, like Aquatech, make photography specific gloves that allow you to poke your finger tips through to directly access camera controls. I’ve tried gloves like this, and for me they only really worked in milder temperatures, for which I frankly probably wouldn’t bother with gloves. In very cold situations, I simply felt the cold through the gap left by the opening mechanism. Your mileage may vary on that so you might want to try them, but for me they weren’t ideal. 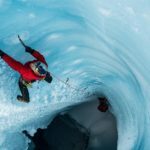 B&H offers a plethora of options in that kind of glove style, but you should also look at the POW Photog glove which is designed by a ski glove manufacturer and is probably the best of this style. Another style that I have a bit more love for is a glove called the POW Transfilmer. I still keep a pair of these in my gear cupboard so they must have passed the test at some point in time! With this glove, the mitten section folds back to reveal an exposed finger and almost without fail, when other photographers see this, they want to get a pair. I find them to be much warmer than the POW Photog glove so if you are interested in a “finger reveal” style glove, I’d start by looking at these ones. When the mitten folds back, a magnet holds it in place so it doesn’t get in the way. These definitely get the most ooohh and aaaah noises when other people see me using them! My glove of choice is the Arcteryx Venta. Out of all of the gloves I’ve tried over the years, this glove has the best warmth/dexterity ratio. Not too thick that I can’t feel the smaller buttons on the top of the camera, and not too thin or porous that wind gets through to my skin. For a long time I went with simple merino wool liners, but in the snow they can get damp pretty quickly, where the Venta LTs have some resistance to moisture. If it’s actually heavily snowing then I move to using a pair of pretty generic ski gloves, with the Arcteryx Gothic Glove merino wool liner. The benefit of a wool liner is that if you do get it wet, it still maintains warmth pretty well, and Merino wool has excellent sweat wicking properties. 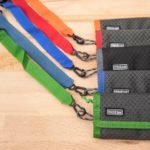 Given the small bulk of these liners, these are always kept in my photography go-bag because you never know when you will need some extra warmth. Even in warmer climates, it can get mighty chilly at night if you suddenly decide to go and shoot some photos of the stars. If I’m going somewhere that I know to be cold, then the Venta gloves come with me. The POW TRANSFILMER only exposes one finger (not two.) Did you really try these? My mistake, you are correct. I do have a pair though, it was just a typo. I have Sealskinz shooting gloves. They are so good that I bought a second pair! The thumb and index finger peel back and are held out of the way by small magnets. Comfortable, warm, well made and available in a wide range of sizes. I live in Minnesota and when it’s min 5°F , I am not sure I would shoot long time with those gloves! 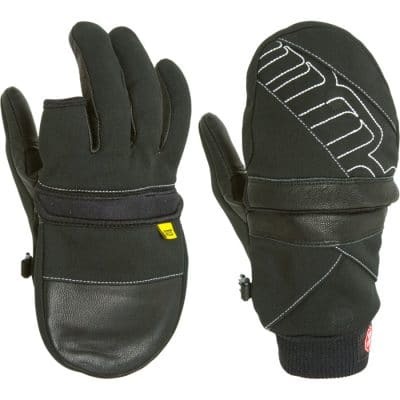 I have recently seen some gloves with electric heat system included, but I have never try. I would be curious to know if anyone try those to take pictures and if they are not to big. I’m actually in the process of testing a whole new variety of different gloves, having recently moved to the Yukon where temps often dip below zero F. Come back to this same page later in the winter and I will have updated it with several more option, including a few that would fit your needs I think. I have been testing them for some time now. Dan.